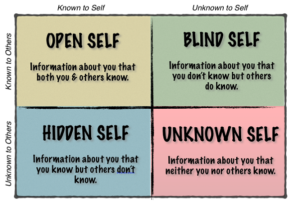 Another way to describe shadow is conveyed by the Johari Window. The Open Self is the part of me that I know about and you can see. The Blind Self is the part of me that I cannot see but you can. Typically, the blind self show up in relationship with others. My wife can see parts of me that I am blind to, and vice-versa. If she can see something in me that I cannot see, I may get defensive and accuse her of being wrong and simply projecting her beliefs on me. This can lead to conflict between us. 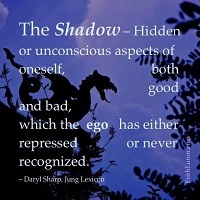 The Hidden self is the part of me that I do know about but won’t let you (or anyone) see. This is where I keep my secrets. The more I hide from you, the more difficult it is to connect deeply with you. 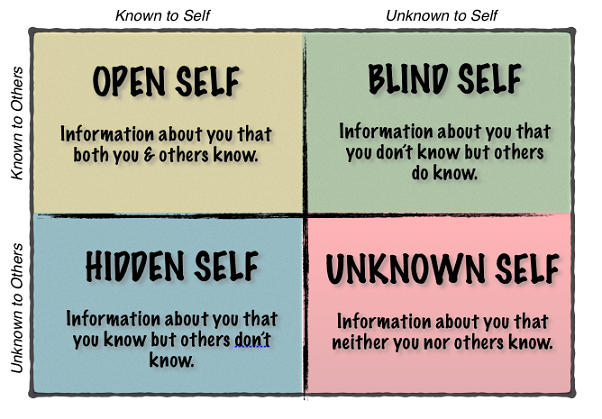 And finally, the Unknown Self is my unconscious, the part of me that I have no awareness of. Can you guess which part is the largest?